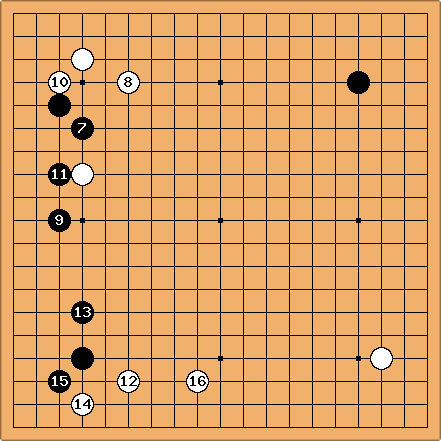 The Shimamura Formation is the combination of the left Black shape with . The common nature of - joseki (see 4-4 point low approach low extension, slide, 3-3) allows for the formation to be easily made, thereby leading many professionals to research the position. The formation is discussed in Charles Matthews Fuseki on Your Side Part 7.